The promotion of Devada Singh-Franco, Pharm.D., to Associate Professor for the department of Pharmacy Practice. 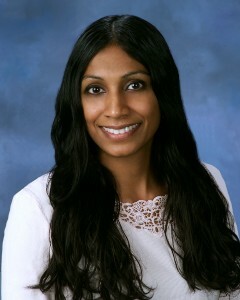 Singh-Franco has become a distinguished researcher in the field of meta-analysis, pharmacotherapy, chronic disease management, diabetes mellitus, obesity, diabetes-related complications, patient care, indigent patients, patient-reported outcomes, gastro esophageal reflux disease, peptic ulcer disease, inflammatory bowel disease, and systematic reviews. Additionally, her long-standing reputation as an outstanding teacher and ambulatory care clinician, have greatly impacted the lives of innumerable students and patients in South Florida communities. Singh-Franco is an exceptional ambassador and exemplifies what the College of Pharmacy and the University in particular are in the realm of pharmacy education and service. “Singh-Franco’s achievements since she joined the College in July 2001 have been truly remarkable and praiseworthy. Equally meaningful is her affability as a colleague,” notes Matthew J. Seamon, PharmD, Esq., Chair and Associate Professor of Pharmacy Practice. The appointment of Antonia Zapantis, Pharm.D., to Director of Experiential Education for the College’s Fort Lauderdale Campus. Zapantis will assume responsibility for introductory and advanced practice experiences for the entry-level and international graduate advanced standing students. Zapantis joined the College of Pharmacy in 2003 after completing an ASHP accredited residency in Pharmacy Management and her MS in Hospital Pharmacy Administration from the University of Kansas. Zapantis contributed to the coordination of an accredited residency program with Broward Health Medical Center. 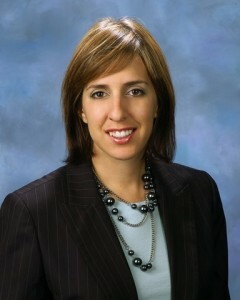 More recently, she has provided valuable service to the NSU-Cleveland Clinic Florida program. Her leadership to the student society of the Florida Society of Health-System Pharmacists has been instrumental in its growth. Zapantis brings to this position her vast experience in teaching, research, and patient care.